Some people notice negative outcomes when they eat gluten, but they don’t test positive for celiac disease. This is referred to as non-celiac gluten sensitivity or non-celiac wheat sensitivity. In the past, it was assumed that people with gluten sensitivity did not sustain intestinal damage, but a recent study proved that assumption false. 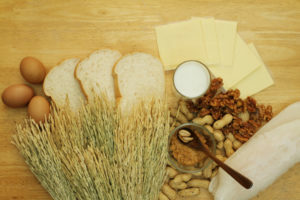 It is estimated that there are more people with gluten sensitivity than with celiac disease, although the majority of people with gluten sensitivity have yet to be diagnosed.